Johnny Gutierrez was one of many residents in Aransas County whose home was beyond repair following the destruction of Hurricane Harvey. 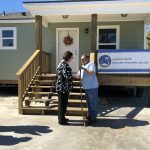 One year and two months later, with the help of the Coastal Bend Disaster Recovery Group (CBDRG), he received the keys to a new home built on his property Friday, Nov. 2. In the months following Harvey, Gutierrez lived in a shed in the back of his property after his home was deemed unlivable. Some time after, the CBDRG reached out to him and viewed Gutierrez as a candidate to have a new home completely rebuilt where his old one stood. The process was long, but on June 29, the CBDRG reached out to him again and told him he was going to have a new home rebuilt for him at no cost. The demolition of his old home was set to happen soon after he was told. In four months time, Gutierrez new home was built by many volunteers and partnering organizations of the CBDRG. 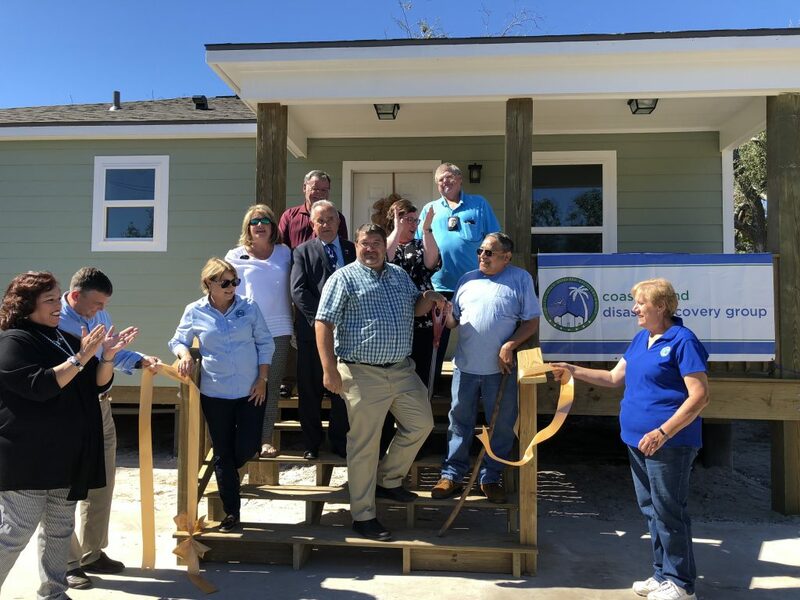 The new home was built by Christian Public Service and Mennonite Disaster Service with funding by Samaritan’s Purse and the Rockport-Fulton Chamber Foundation (RFCF). Many volunteers contributed to the completion of the home, including Nancy Arispe, who recently received her home on October 17. A coffee table and loveseat were donated by Khristian DeGrange, a past CBDRG client who received keys to her home on the eve of the anniversary of Hurricane Harvey. Additionally, First Presbyterian of Sparta, NJ and Furniture For Less donated furniture and appliances. The home was also filled with perishable and non-perishable food items courtesy of the Coastal Bend Food Bank.